You can support Puzzle Centre whilst you shop online with over 3,000 retailers, at no extra cost to you! 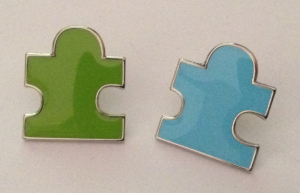 Sign up to Easyfundraising.org.uk‎ and choose Puzzle Centre as your benefiting charity. Whether you’re booking a holiday, buying insurance, doing the supermarket shop or searching for that perfect gift, your purchase through Easyfundraising.org.uk will help raise vital funds for Puzzle Centre. Vale Lottery is a weekly lottery that directly supports good causes which benefit the Aylesbury Vale community, including Puzzle Centre. Support us by entering the Vale Lottery and you could have the chance to win prizes of up to £20,000. To find out how to play and ensure your ticket directly supports Puzzle Centre please click here . 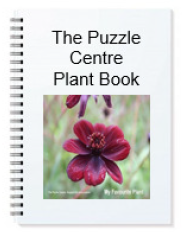 Order your copy of the Puzzle Centre Plant Book for £10. Featuring the favourite plants of our supporters and friends, the book is packed full of practical tips for the beginner to the most experienced gardener. The book has been produced by Puzzle Centre volunteers and all costs have been covered by sponsorship and advertising, so 100% of your £10 goes directly towards our work with children, families and professionals. Puzzle Centre pin badges are available for a suggested donation of £2 each. Look out for them at our fundraising events throughout the year. ALL donations to Puzzle centre make a direct impact on the quality of education, therapy and support we provide. Whether you want to make a one off donation or a regular commitment here are some items we need.